Hi Folks! Hook’n Them Up Fishing Charters would like to invite all to join us for the 2013 fishing season with our new location in PORT RENFREW BC. 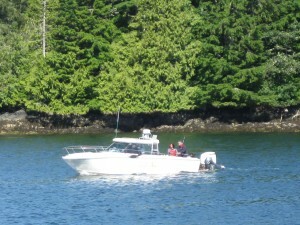 We are still offering charters in SOOKE, SYDNEY and VICTORIA BC as well. Well let me tell ya the fishing in PORT RENFREW is gonna be hot. 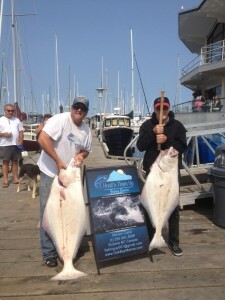 With trips to SWIFTSURE BANK there will be no shortage of HALIBUT and there are tons of Coho Salmon and big Chinook Salmon fishing spots around. There still plenty of room for bookings So with that being said give us a call and book your salmon and halibut fishing charter today Hook’n Them Up Fishing Charters knows just where to Hook you up :) . 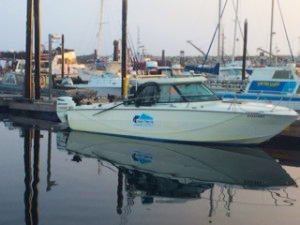 HOOK’N THEM UP FISHING CHARTERS welcomes you aboard to explore the great fishing waters of Southern Vancouver Island in British Columbia on Canada’s West Coast we offer fishing in PORT RENFREW, VICTORIA, SOOKE and SYDNEY BC. PORT RENFREW is British Columbia’s hidden gem for Halibut and Salmon Sports Fishing. We offer something for the entire family – feed the seals at the marina spot a killer whale or two, dine at the local restaurants check out the seabirds of all varieties and all the beauty that the west coast has to offer. Please come and join us this season and make your PORT RENFREW or VICTORIA BC sports fishing experience a HOOK’N THEM UP fishing charters experience. It’s one you won’t soon forget. So until then keep your tips up and tight lines. Hope to see you all very soon on the beautiful southern part of the west coast right here in PORT RENFREW BC. There`s still spots available for fishing this summer and spring so don`t hesitate to give us a call and book your trip. HERE’S A SNEAK PEAK OF MY NEW BOAT FOLKS!